This is what $15/hr looks like …. LOL ! Now playing in Wisconsin ! 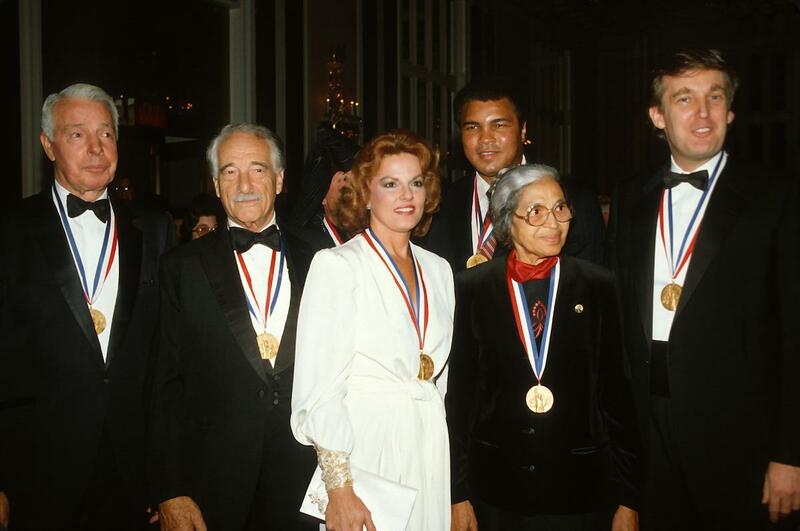 October 26th, 1986 – – Joe DiMaggio, Victor Borge, Anita Bryant, Muhammad Ali, Rosa Parks, and Donald Trump pose for a photograph after receiving the Ellis Island Medal of Honor . Nice one ! Looks like his boys there. Awesome find, Dora. That mix of people would not happen in today’s crazy PC climate. No Trump. No vote. Make America Great (and Less PC) Again. Just wow. Looked up what the honor represents …. including a list of all the notables who have won it. Donald WON it the first year ! Trump has stated that he may pick a politician for his VP. I think Newt would be a good choice. With Trump’s business acumen and Gingrich’s political savvy, they might be just what this Country needs to right the ship. Love Newt, he knows how to smack around the media too. 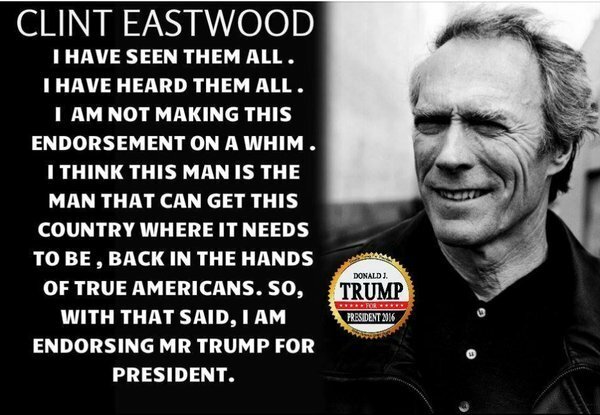 Very smart man with great common sense! 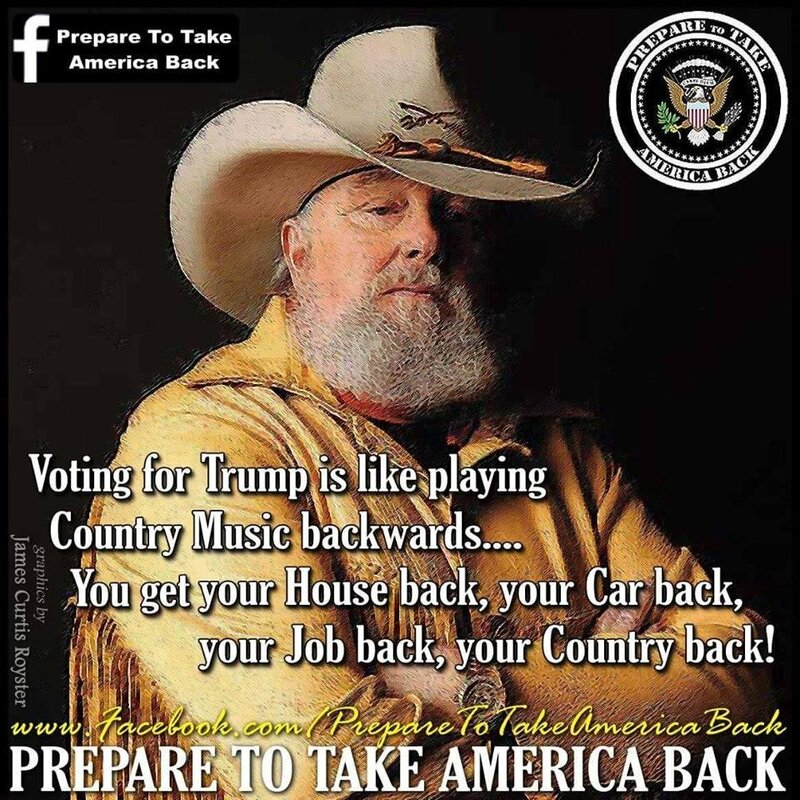 Bikers for Trump,….bring it protestors ! Trump is very lucky those ladies are on his side. ❤ Best of all, they get it too. Any more of the same, nothing changes. I wonder why WordPress shrunk down the emoticons ? He wants to fix America. We need to give him a chance to do it. Remember that John Wayne’s daughter endorsed him too. He’s pulling in my kind of people. Great speech, worth a listen. Here’s an interesting interview with Newt Gingrich. They are afraid of him. 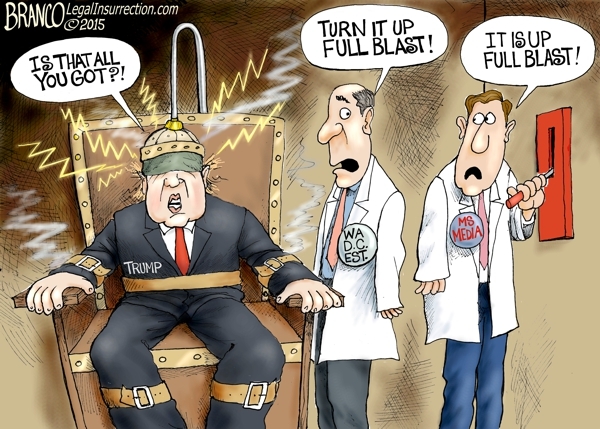 Their party is on the brink of being over and they are desperate to stop him. The irony is that Trump is the only one who can save the party. I want him to save the Country. I’m with you on that one too! The GOP can go where the sun don’t shine. Much needed (except for creepy Cruz). Thank you.